The foundations of the housing market continue to crumble. The collapse of the housing market showed no signs of easing in November as sales of new and existing homes plunged and prices took their biggest hit on record. Despite aggressive government efforts to lower mortgages rates, other forces appear to be weighing on the market and prolonging one of the nation’s deepest housing downturns ever. As the housing-led economic recession deepens, job loss worries have pushed many potential buyers out of the market. And the relentless pace of foreclosures increases the glut of unsold homes and pushes prices lower, as lenders price them aggressively to get them off their books. Sales of existing homes fell 8.6 percent, far more than the 1.6 percent drop expected, to an annual rate of 4.49 million in November — the slowest pace in more than 17 years. The median sales price fell by 13.2 percent from a year ago, the largest in the 40 years records have been kept, to $181,300. The price drop was probably the largest since the Great Depression, NAR chief economist Lawrence Yun told reporters. The steep drop in prices, combined with a recent plunge in mortgage rates, has made housing more affordable than it’s been in years. But those forces so far have not been powerful enough to spark a housing rebound. The job market shows little sign of improving soon. In a separate report, the Commerce Department Tuesday confirmed that the nation's Gross Domestic Product shrank by a half a percent in the third quarter. Private forecasters such as IHS Global Insight estimate that GDP is falling by 6 percent in the current quarter and will drop another 4 percent in the first quarter of 2009, with a smaller contraction coming in the second quarter. Even among those would-be home buyers who still have a job, the pool of qualified borrowers is substantially smaller than it was just a year ago. Banks have learned from the mistake of lending to people who can't afford to pay back their mortgages; they have gotten extremely choosy about who they approve for a new mortgage. “That's a big issue right now — getting the 4.5% (mortgage) rate that’s out there,” said David Goldberg, a housing industry analyst at UBS. ”You have to have pristine credit and not that many buyers do in terms of the marginal buyer who needs to come into the market. That’s a big problem for builders right now. Home builders have slashed the pace of new housing starts and construction has slowed to a crawl. Yet, the inventory of unsold homes remains at historical highs as lenders dump more foreclosed homes on the market. More than a year of public and private efforts to help keep people in their homes still hasn't slowed the pace of foreclosures. More troubling are recent signs that even some homeowners who succeed in convincing their lender to rework their loans eventually lose their homes anyway. In some parts of the country as many as half of those homeowners who rework their loans eventually “redefault” on their loans. For now, the government’s primary strategy for boosting the housing market has been a massive effort by the Federal Reserve to lower interest rates. At its latest meeting, policymakers said they had let short term rates fall to zero and would now try to force down the long-term market rates that govern the interest charges on mortgages. Just the announcement of the shift in policy helped push mortgage rates to their lowest in 37 years. That has sparked a refinancing rush by existing homebuyers looking to lower their monthly payments. But many homeowners with unaffordable loans can’t refinance because they are stuck with hefty “prepayment” penalties on their old loans or because they don’t qualify under now-stricter lending standards. Some analysts also doubt that low mortgages rates alone will be enough to get housing sales moving again among new buyers. Lenders are looking for substantially bigger down payments, especially in areas of the country where home prices are higher than the limits for FHA-backed, low-down payment loans. The historical requirement that a borrower put down 20 percent of the purchase price — widely abandoned during the housing bubble — is returning. That’s forcing many would-be first time buyers to the sidelines until they can save up that down payment. 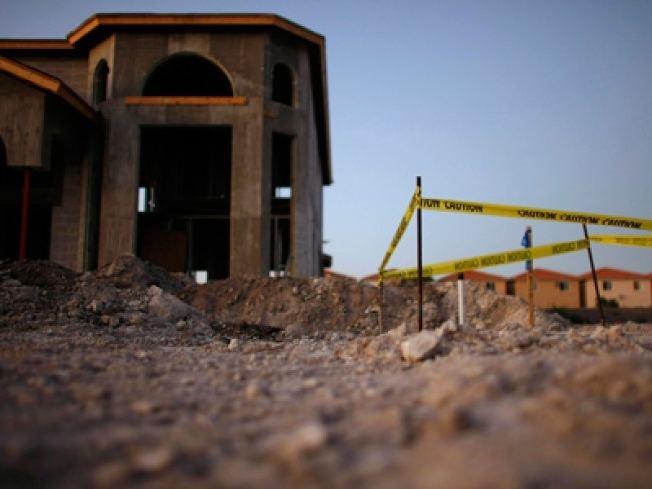 To help spur sales, the battered home building industry is pressing Congress to provide relief in the Obama administration's promised economic stimulus package. The industry proposal, called Fix Housing First, would include a move to offer mortgages at 3 percent interest and provide a $22,000 tax credit to help buyers come up with a down payment. The latest call for the proposal came from Ara Hovnanian, CEO of Hovnanian Enterprises, one of the nation’s largest homebuilders. Last week, the company reported a 48 percent drop in revenues from a year ago for the latest quarter, due to falling home prices and lower sales. More than 40 percent of buyers who signed contracts during the quarter walked away from the deal amid growing concerns over the economy and rising unemployment, the company said. Hovnanian has cut its work force by 65 percent since the peak in 2006, and said more reductions could be ahead if home sales continue to decline. "Declining home prices are what caused much of the financial and economic turmoil that we are faced with today," Hovnanian told Wall Street analysts on a conference call to discuss the company's latest financial results. "If the government wants to enact a stimulus policy that will get to the root cause of the problem they need to fix housing first."